Virgin Australia is adding inflight Internet to all trans-Tasman flights as the airline steps up its fight against Qantas and Air New Zealand as the longtime foe and former beau launch their own alliance. WiFi will be available on all Virgin flights between Australia and New Zealand from October 28, with all passengers receiving 15 minutes of free access, after which the meter will begin running at a rate of $7 for one hour or $13 for the entire flight. Virgin Australia says that speeds will be sufficient for video streaming along with Web browsing, email and the obligatory social media updates. 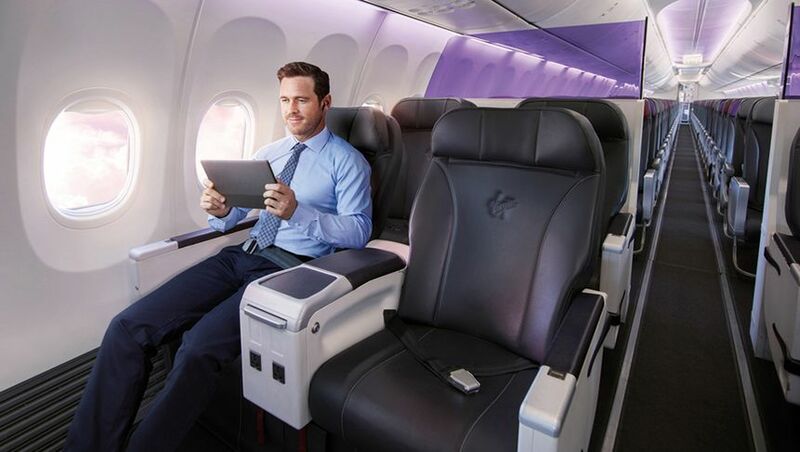 A spokesperson for Virgin Australia confirmed to Australian Business Traveller that some Boeing 737 jets crossing the pond already have WiFi fitted, with more to follow in the lead-up to the official October 28 launch date. However, the 'first 15 minutes free' deal won't be activated until October 28 – so for now, if you walk onto a Virgin Australia Boeing 737 flying to or from New Zealand and it happens to sport that tell-tale WiFi hump, you'll need to pay at least $7 to get online. 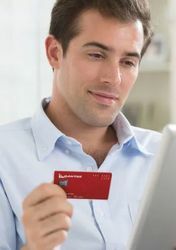 Virgin is also bringing its Velocity Frequent Flyer scheme into the fray and will shift to a spend-based earning model for New Zealand flights, with the number of Velocity points earned based on how much travellers pay for their ticket rather than how many kilometres they fly. From October 28, trans-Tasman travellers will earn a minimum of five Velocity Points per Australian dollar, with the points bonus for Velocity Platinum, Gold and Silver members boosting this as high as ten points per dollar. There’ll also be an uplift in the number of status credits earned on flights to and from New Zealand, depending on which type of ticket you buy. Business class fares will be split into Business Saver and Business categories, with the former earning the same 60 status credits as under the current fare structure for a Sydney-Auckland flight but the later raking in 90 status credits. On the same route, today's full-priced flexible economy fare goes from 30 status credits to 45 status credits. I'm about to hop on VA104 WLG-SYD, via BNE - as its the only way to get J to Sydney, with the current VA/NZ JV. I'll report back if WiFi us onboard. The wifi installed on VA 737's now works TT. Perhaps they mean that ALL 737's going TT will have wifi by October 28? Yes, that's what the article says – all trans-Tasman Boeing 737s will have WiFi by Oct 28. We've checked back with Virgin and indeed some of those jets already have WiFi but there is currently to 'first 15 minutes free' option. Sorry I missed the bit about paying. Having it for free is a great inclusion. That's good to know – how's the speed? "1Mbps down, 24mbps up" – please tell me those numbers are the wrong way around and you meant 24Mbps down and 1Mbps up, otherwise this service is not going to be much chop and certainly not for streaming. Bonus points for gold and platinum members and points now reflect per $ spent. Great move Virgin, bundles all the onboard and loyalty wish list. Think Virgin will be the only airline with free wifi on Tasman. Well 15 minutes worth, anyway. A large number of people here were very quick to write off VA after split with NZ. Well done VA for taking the fight to NZ/QF. I on the other hand have always believed NZ has the most to lose in their new code share arrangement. Well done VA. Be interesting to see what NZ replies with. Great for us customers. Hmmmmm. Having the best offer/experience is usually the most costly. Can they actually afford all this? This is great, but what lounge access will Gold/Platinum have flying trans-tasman post Air NZ breakup? Have any details been released? From the email which all Velocity members received today: "We are committed to providing you with the best travel experience possible and an announcement will be made regarding the Lounge offering for Trans-Tasman routes in the coming months." It's a 3 hour flight. Direct aisle access and lay flat beds are not really a necessity. Are there VA lounges in NZ? No. VA has been using NZ lounges. It will be interesting to see who they will use especially in Wellington where there is only QF international (located airside) and NZ international (located airside) regional and domestic Koru lounges. AUD, as we are aimed at Aussie audience. What about your NZ readers? I assume the prices VA charge for their in-flight services are all denominated in AUD so NZ readers will need to convert it in their head to get an idea of what sort of value will appear on their credit card. It's about AUD * 1.1 so it's not too hard. A great review, bur what's the bottom line? This isn't a review, just a straight news story, so no 'bottom line' per se. Hi Mike, David is travelling, but we don't report rumours. When Virgin Australia confirms this officially, we'll report it (and it wouldn't surprise me if this becomes known on the day the change takes place, because VA doesn't like to say what its doing before it does it). I'm out of WLG on VA codeshare on 25/10 and return SYD-WLG on new VA on 30/10.. I'll watch your space! Comment on "Virgin Australia launches WiFi on trans-Tasman flights"